Everybody knows how stressful the holidays can be. Different family members have different opinions, kids are on school break, you and your partner have worked the whole year and are ready to relax and so on. The combination of all these factors can result in, well, not such a picture perfect break. So, instead of making it seem like it is going to be all bells and mistletoe, while you shop for gifts, holiday cards, put menus together, plan travels and so on, remember to add de-stress little helpers to your routine. Try a bath with essential oils in the evening to slow down before going to bed. 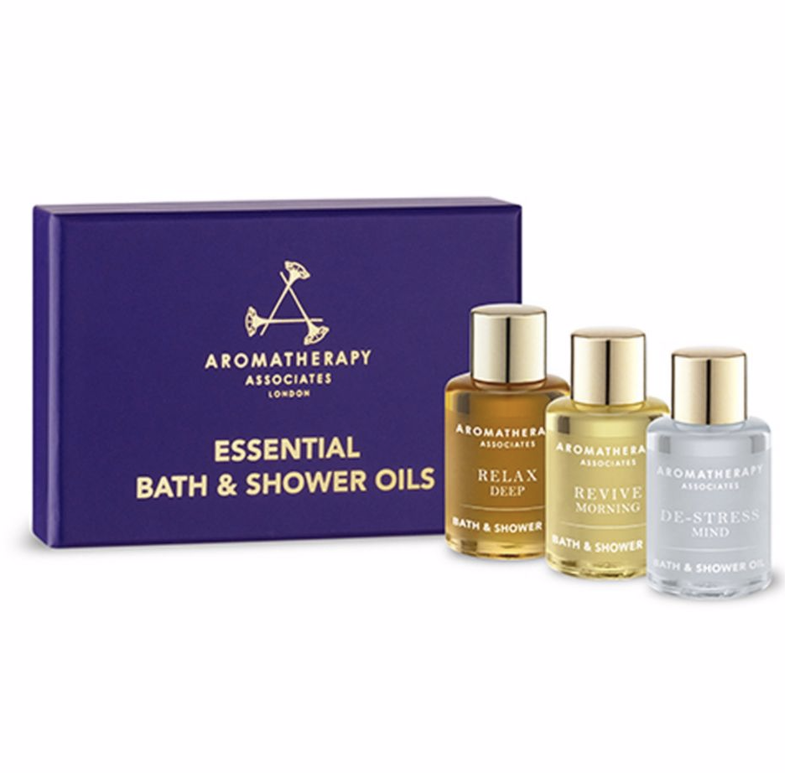 I love the Aromatherapy Essentials Kit below. Take a break and meditate. Lock yourself in the bathroom if needed for 5 or 10min, put headphones on, breath and relax listening to a guided meditation. Inscape app is excellent for that as well as Omvana or Headspace. Carry one small container of essential oils with a calming scent in your handbag to use throughout the day. The Tata Harper Irritability Treatment is a tried and true recommendation. Start your day with a stretch and simple yoga pose. Ten minutes will already make a big difference. Yoga Studio is super easy to use even if you have never stepped foot at a yoga studio before. Give yourself a timeout. If it all becomes too much for you, take a break. Go for a walk, close your eyes for a few minutes or feel the tub with hot water and let your body and mind relax. 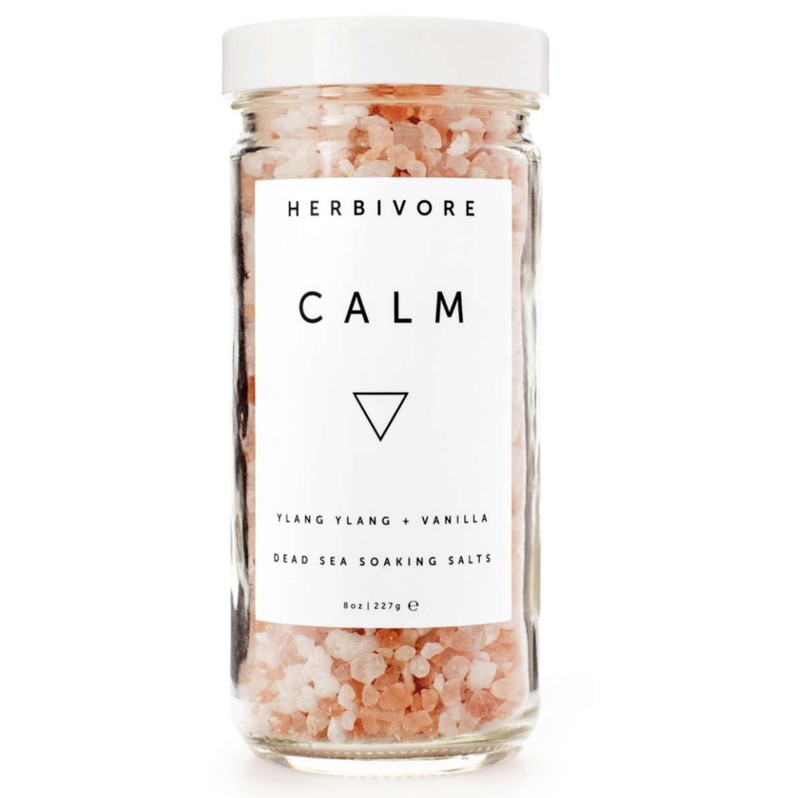 I love Herbivore Calm bath salt. The noise at stores and traffic can be extremely stressful, wear noise reducing headphones and select playlists based on your mood. Download Spotify immediately and choose your fave playlists. Have a cup of tea. Herbal teas will help you relax while doing chores around the house, playing with the kids or just sitting down for a chat. Try Republic of Tea Get Relaxed. Have a book handy for some me time. No time to Spare by Ursula Le Guin is excellent with thoughtful and funny short stories. Finally SLEEP. Make sure your room is silent and dark. Put away all electronics before dozing off. Wearing a sleep mask will make you feel like, finally, after a long day, it is time to rest. Try silk mask Slip for the ultimate little luxury. You deserve!